My Sashiko project has been traveling around with me in an ugly zip-top bag. I wanted something that not only reflected the style of the contents, but even showed it off a little from the outside. 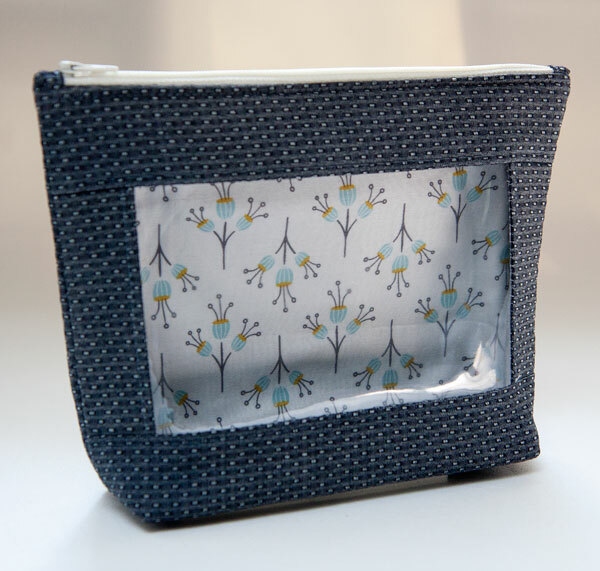 I have a zipper pouch pattern I bought long ago with a vinyl window that I knew would be perfect for this. 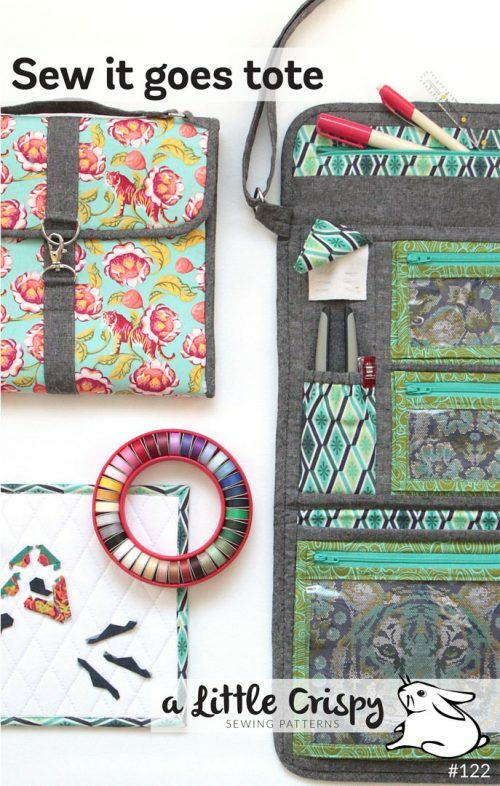 The pattern is “What’s in your bag” by Stitchin’ Sisters. 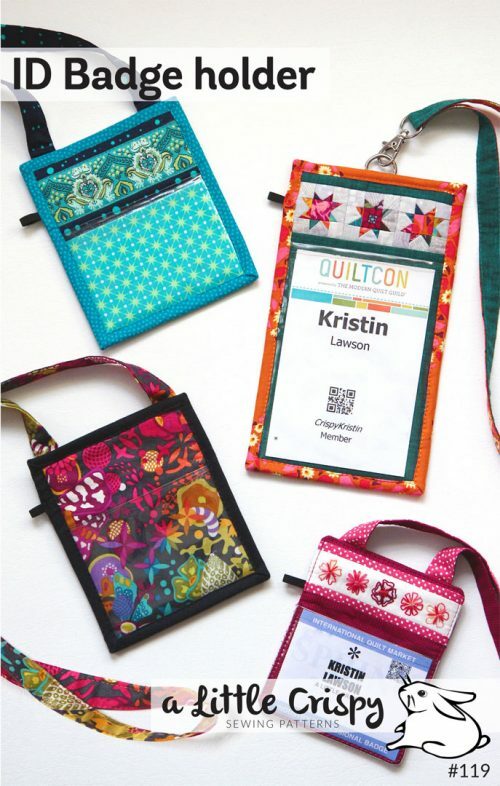 I hadn’t heard of Stitchin’ Sisters when I bought this pattern, but it turns out they’re local-ish (in WI) and I had the pleasure of meeting them this June at an event at Millie P’s quilt shop. Bonus! The outside of the bag is Kaufman “Dobby Denim”. 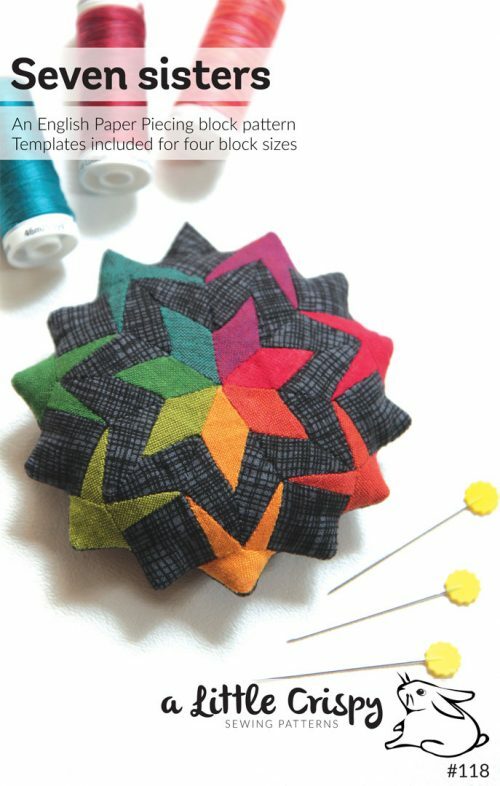 I ordered this for my ever-growing stash of denims and chambrays that will become a quilt before too much longer. But when this one arrived it was very stiff and weird, so I’ll instead use it for bags and other things where the crisp hand doesn’t matter. 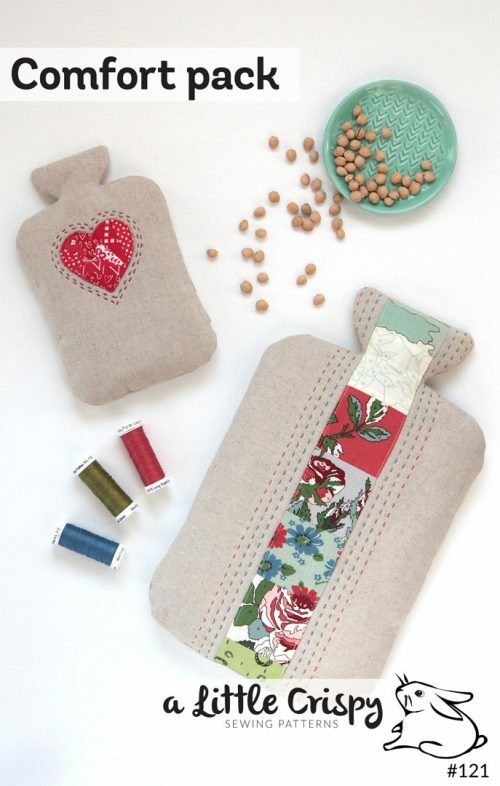 I lined it with a simple low volume cream print by Camelot Fabrics called “Josephine”. 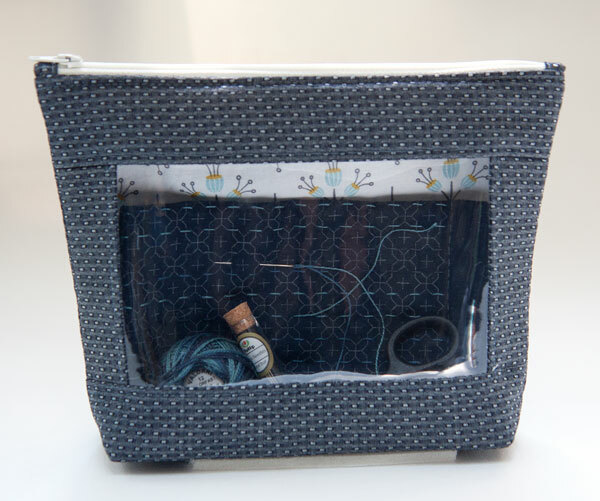 I kept the contents super simple: Embroidery panel, ball of perle cotton, vial of needles, and a small pair of sharp scissors. The bag size is just about perfect for this. 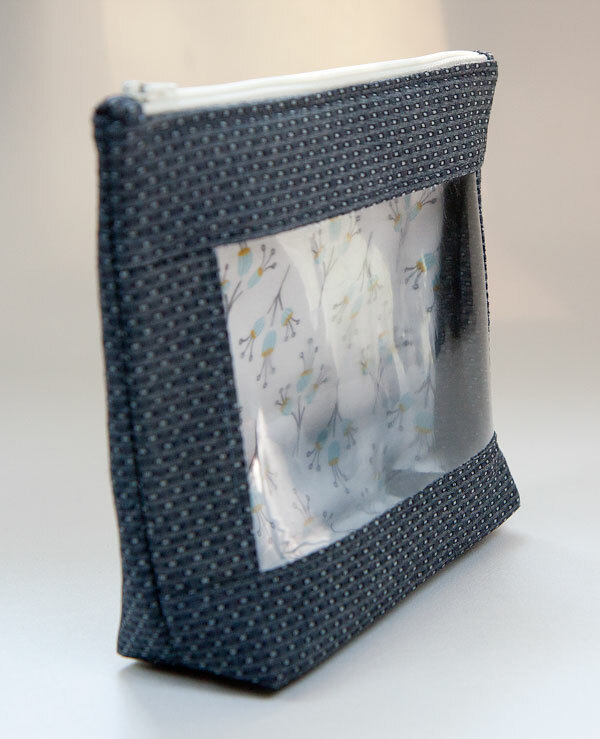 The pattern does have you zigzag or serge a few raw edges inside the pouch, but I found it just as easy to cover the raw edges with a single-fold binding strip. I machine stitched it down so it was really quick! About the only thing I wish I’d done differently is they suggest quilting the back panel, which I skipped, and the lining fabric is a bit poufy as a result. 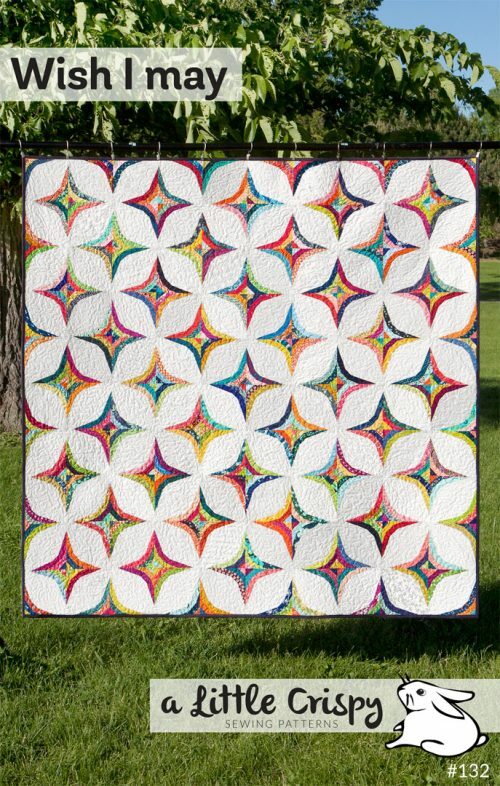 Next time I’ll definitely quilt the back panel and the front one too.